The Goa government has sought more time to respond to a notice issued by the court to file an affidavit specifying Manohar Parrikar's condition. The state government has sought more time to respond to a notice issued by the court last month to the state Chief Secretary to file an affidavit specifying Mr Parrikar's health status. "Today, is the third time they are asking for adjournment. Now the Court has directed them to file their reply by tomorrow, that is December 7. The matter is coming up on December 11," Mr de sa told reporters. Mr D'Mello, in his petition filed earlier this month, had sought directions to state Chief Secretary Dharmendra Sharma to evaluate the former Defence Minister's health by a panel of expert doctors and release the report in the public domain. Mr Parrikar is suffering from a pancreatic ailment and has been in and out of hospitals in Goa, Mumbai, New York and Delhi for nearly nine months. 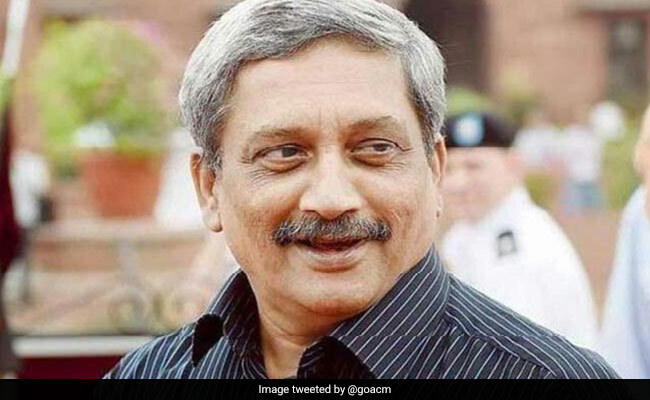 Ever since Mr Parrikar's health started deteriorating there has been no health bulletin, as demanded by the opposition, barring several informal intimations to the media, which suggested that he was suffering from "indigestion" and "mild pancreatitis". Manohar Parrikar Meets BJP Lawmakers, Minister Says "Recovering Well"